StageGear Rentals offers PA systems, from a Megaphone, or Small Battery Opertated System with USB and Radio Microphones built in, to a large system for Live Music. So whatever the situation, or number of people you need to get your message or music to, we have a solution. Especially suitable for Small Halls & Wedding Venues where you want a medium volume system and be in control of the Music and Volume. Your PC or iPOD can be connected. 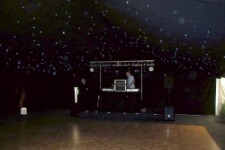 Especially suitable for Medium Size Halls & Wedding Venues where you want to be control of the Music and Volume. Your PC or iPOD can be connected. We can offer a single powered loudspeaker on a stand with a microphone and music playback facility such as CD or iPod / Laptop lead* through to a multiple loudspeaker system depending on the size of venue or number of rooms you wish to have speech or music relayed. The most popular system will comprise of two loudspeakers on stands, a mixer amplifier, a hand held radio microphone and music source, in a larger area there may be a need for four loudspeakers. This is not so the system is louder but gives a more evenly spread lower volume. StageGear Rentals can offer ''Live'' performance music systems from a range of Turbosound TXD loudspeakers giving up to 7.5kW of sound power over a combination of four 2x15" mid/high loudspeakers and two 2x15" + 2x18" sub bass loudspeakers all driven by the excellent Crown XTi4000 power amplifiers. This coupled with six Turbosound TXD15M monitor loudspeakers gives an excellent quality ''Live'' PA system for Isle of Wight Venues such as Ventnor Winter Gardens, Medina Theatre, Ryde Theatre & Cowes Yacht Haven. StageGear can also offer smaller Live performance PA systems suitable for Musicians or Bands and are taylored for the needs of the customer and venue. StageGear can provide speech and music PA systems for outdoor events such as Fetes, School Fund Raisers, Sports Days and Shows. 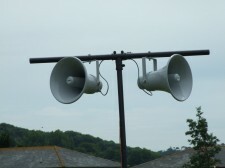 The system will usually comprise of several ''horn'' loudspeakers on tripod stands to cover a large field. Hand Held radio microphones mean that the commentator can roam the field in order to relay announcements and music can be played in between the commentary to avoid silence across the field. StageGear Rentals can provide audio and visual relay of shows or church services to large audiences that may not be able to fit into the venue. StageGear has provided audio relay systems to the Isle of Wight Cremitorium, The Minster Church of Sts Thomas - Newport, and Quarr Abbey. 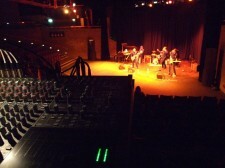 StageGear is able to supply for installation or temporary rental induction loop systems. 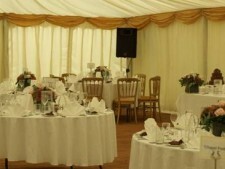 This will make your venue or event DDA compliant. This list is designed to be indicative of the services we offer; it is by no means comprehensive. If you would like to discuss a forthcoming event, or for examples of our work with existing clients, please do not hesitate to contact us.